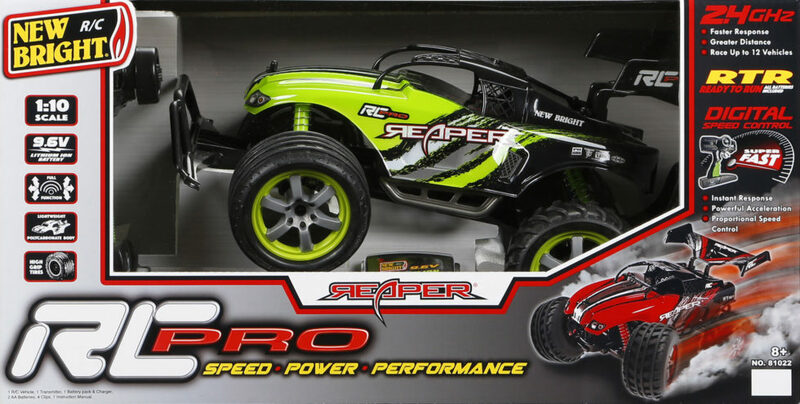 R/C Pro Reaper - Green | New Bright Industrial Co.
Take control of the ultimate off-road driving experience with this 1:10 Scale, Full Function Radio Control Pro Reaper. 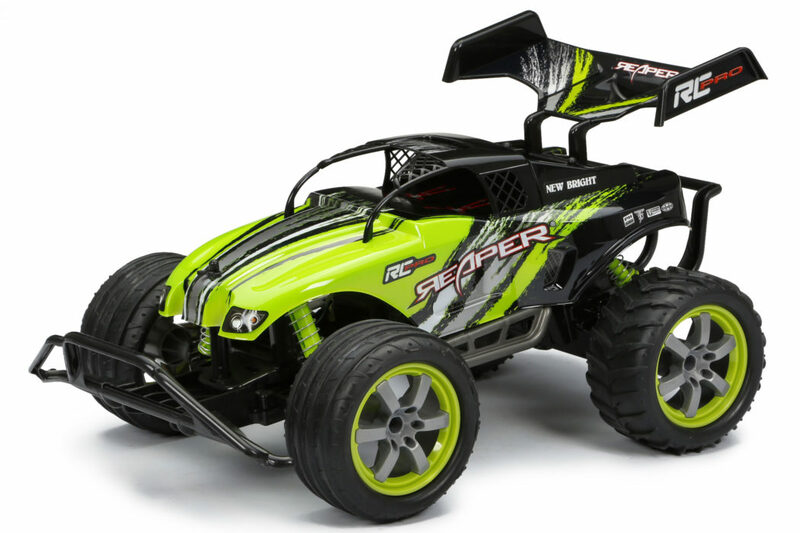 Feel the combination of pure speed, unmatched power and ultimate performance packaged in a lightweight frame, Polycarbonate body, with off-road tires and rugged suspension. The nimble controls allow this vehicle to power through dirt and leave any challenger in the dust. 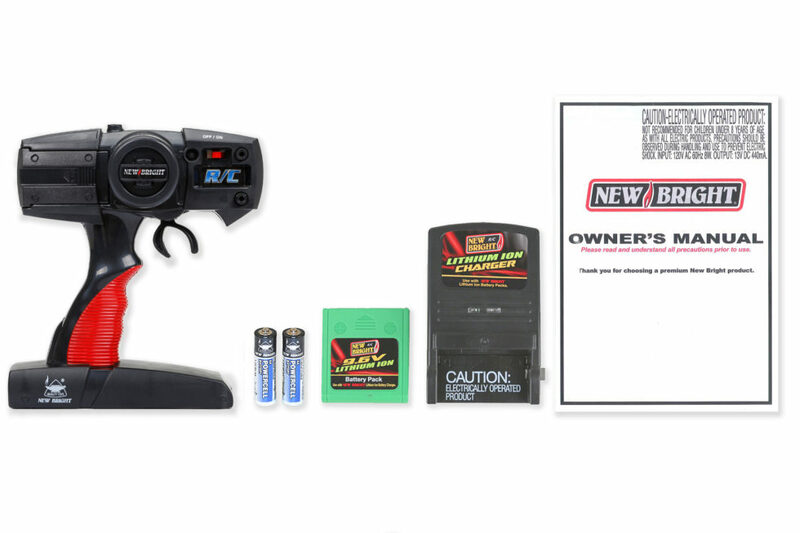 The RC Pro line is now equipped with auto pairing 2.4GHz technology, meaning longer range, faster response and internal antenna that will allow you to race against your friends with ease and a 12.8V Lithium ion battery allows you to finish the race strong. The only question will be “who is your next victim?” All required batteries included. Race up to 12 vehicles at once!